Akismet is a tool that filters spam messages from track backs and contact forms. This filtering system functions through combining data related to spam that comes from all participating WordPress pages. Akismet is being provided by Automattic which is a plugin provider behind WordPress. Akismet was launched for the first time in the year 2005 by owners of WordPress. On being activated it does filtering of spam messages. This is done through a website that gathers information of spam messages from other web pages. Akismet filters spam from sections displaying comments and contact forms. Yoast plugin at WordPress can easily do search optimization of your blog or web page. It has amazing features that can streamline your website or blog at WordPress. This is an amazing plugin feature that enables detailed content analysis. Yoast SEO is available free, it is also has paid services. One thing to note is that paid Yoast SEO has additional and more functional features. This is a full SEO plugin at WordPress. Yoast acts well as a snippet content proof reader. It helps in doing search engine optimization of WordPress content, pictures, meta tags and meta descriptions. Site maps generated by Google XML are amazing plugins at WordPress. They help all prominent search engines like Yahoo, Google and Lycos to index your WordPress blog or web page in a better way. With the help of a Google XML site map it becomes easy for search engine spiders to trace all content of your site. This also helps in retrieving all site content. This is a plugin that provides help to all web pages generated by WordPress. Whenever you post new content on WordPress, Google XML site map informs all search engines about it. This is a very useful WordPress plugin that helps bloggers to clean the available database. WP-optimize is a supreme tool for search engine optimization of WordPress pages. With the help and support of this plugin you can easily search engine optimize your available database. You can easily remove or eliminate trashed comments of your post with the help of WP-optimize. Whenever you publish a new post at WordPress then you can enable or disable comments for that post. If you are seeking an effective security plugin for your WordPress posts or web pages then word fence security can serve your need well. It is one of the most reputed WordPress plugins that renders security to your posts. All of us know that WordPress is a highly reputed system for doing content management. Nearly 25% business and personal websites launched on the web are from WordPress. Due to immense popularity WordPress very often remains vulnerable to hacking and attacks of malware. To prevent such attacks web experts recommend the use of word fence security. This plugin provides perfect security solutions to WordPress users on the web. This plugin at WordPress keeps a perfect check on your comments and posts. It notifies you about broken page links and missing photos or images. In simple words broken link checker does monitoring the links on your web pages, posts, customized fields and blog roll. It does perfect detection of blog links that do not work properly. Finally broken link checker stops search engines from indexing web pages that have broken links. This is a plugin tool that intimates web page owners at WordPress about broken links. It also helps in repairing broken web links. It has a very high rated configuration. This is an excellent plugin that helps you to get more subscribers after they read your posts at WordPress and become their regular subscribers. With the help of mail chimp for WordPress you can create a variety of sign up methods to get more visitors. This is that plugin tool that can create a sign up widget on your WordPress page. Such a widget will assist you in getting more and more subscribers and visitors. Some users at WordPress have become crazy to set their own e-commerce web page. Mail chimp at WordPress gives online purchase forms, contact forms and subscriber pages to get more visitors and subscribers. Today nearly 500 companies in the fortune list have created successful e-commerce pages with the help of mail chimp for WordPress. This is an excellent plugin on WordPress. It helps uses to upload content, images, pictures and videos at a fast phase. Another advantage of using BJ lazy load is that it saves maximum bandwidth on the used server. It helps you in the replacement of images, thumbnails, videos and content frames .It functions well with widgets displaying texts. The main function of BJ lazy load is that it uploads content in the form of texts, audios and videos at a high speed. It functions well with embedded videos seen at Metacafe, and You Tube. When you fix or set this plugin at your WordPress page then your other essential WordPress plugins also work smoothly and well. Many times pictures and images might slow down the images of your WordPress page. 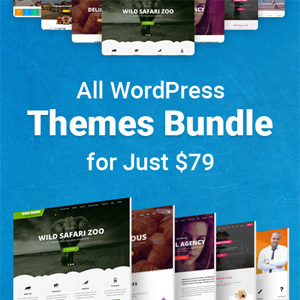 In such a condition WP smush helps in enhancing the processing speed of your WordPress page. This plugin tool also helps in doing optimization of your WordPress page. Moreover WP smush does not make any compromise with the processing quality of your WordPress blog or website. This plugin tool is so easy to use. Even if you are a new WordPress user then you can easily use this tool. WP smush gives perfect control in doing optimization of images and pictures that have been uploaded at WordPress. This WordPress tool is simply marvelous. You will enjoy using this WordPress tool.